A garden inspired by the poem ‘Up Here‘ by Manchester based writer and performer Tony Walsh, will feature at the RHS Flower Show Tatton Park (18th – 22nd July 2018). The BBC North West Tonight Garden will promote the spirit and resilience of the North West following the tragic events of the Manchester Bombing. The garden has been designed by multi-award-winning designer Janine Crimmins and will be relocated, after the show, to The Willow Garden Project, in Fleetwood. The garden is designed to draw people together in a space of calm and will feature a wealth of iconic North West elements, including carved images of the Manchester Bee, which has long been a symbol of strength in the region, alongside poignant words from ‘Up Here‘ engraved on locally sourced stone throughout the garden. A new rose will be launched at the show by local grower C & K Jones in memory of Saffie Roussos, who tragically died at the event. The rose will feature within the planting on the garden. Further inspiration for the garden comes from the famous Rivington Terraced Gardens in Bolton, designed by Thomas Mawson. Rivington Terrace was an arts and crafts garden that sadly fell into decay in the 1920s. The garden will have bee friendly planting, avoiding double-flowers, to focus on the single flowers that bees find easier to access. 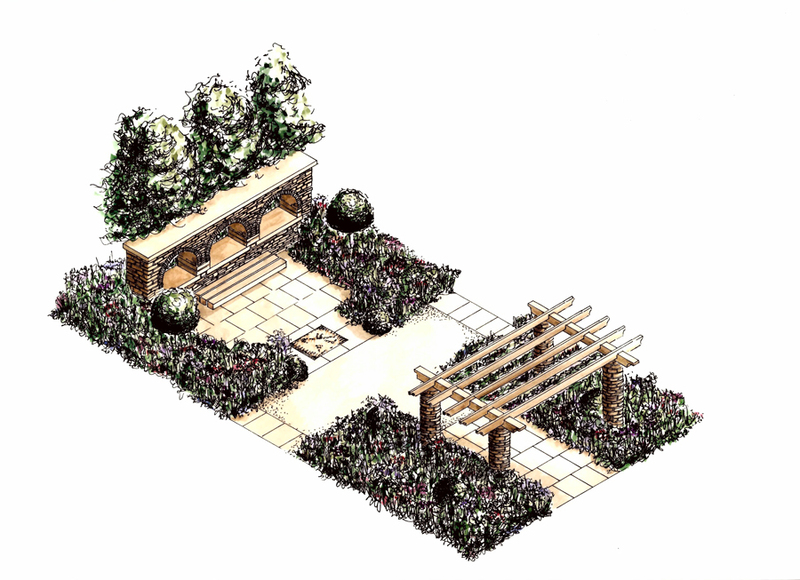 The design has naturalistic planting with formal elements and the Mawson influence can be spotted in the large pergola and round drystone pillars topped with oak beams. For more information and tickets to RHS Flower Show Tatton Park, supported by Bruntwood, please visit www.rhs.org.uk/tatton. Picture credit: Images are ©RHS/Janine Crimmins.